(MENAFN - Kashmir Observer) SRINAGAR — The state government on Monday relieved Raj Kumar Goyal (IAS) for his appointment as Additional Secretary & Financial Advisor, Ministry of External Affairs, Government of India, even as it assigned charge of different posts to three IAS and a KAS officer in the interest of administration. According to an order issued here, Goyal, a 1990-IAS officer of J & K cadre, was relieved today to join his new place of posting. 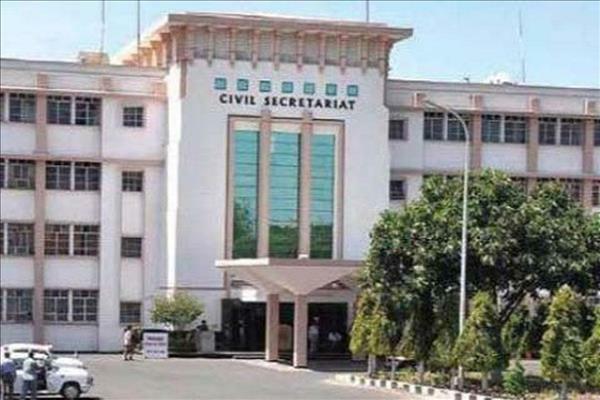 According to a separate order issued here, Manoj Kumar Dwivedi (IAS), Commissioner Secretary to the Government, Department of Forest, Ecology and Environment, has been asked hold the charge of Commissioner Secretary to the Government, Information Department, in addition to his own duties, till further orders. Rigzian Sampheal (IAS), Commissioner Secretary to the Government, Tourism Department, has been asked to hold the charge of Commissioner Secretary to the Government, Department of Floriculture, Parks and Gardens, in addition to his own duties, till further orders. Pandurang Kondbarao Pole (IAS), Secretary to the Government, Department of Disaster Management, Relief, Rehabilitation and Reconstruction, has been asked to hold the charge of Secretary to the Government, Department of Food, Civil Supplies and Consumer Affairs, in addition to his own duties, till further orders, relieving Saurabh Bhagat (IAS), commissioner Secretary to the Government, Labour and Employment Department of the charge of the post. Zubair Ahmad (KAS), Secretary to the Government, Culture Department, has been asked to hold the charge of Secretary to the Government, Technical Education Department, in addition to his own duties, till further orders.